Stage 14 of the Tour de France rolled closer to the Alps today with a 191km course departing from Saint-Pourçain-sur-Sioule and finishing in the city of Lyon. In the final two kilometers it was Sojasun's Julien Simon in front racing for the year's first French rider win, but ultimately he was caught and Matteo Trentin (OPQS) took the stage victory. Julien Simon's SRM race file below illustrates his efforts in today's stage. 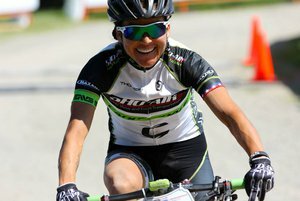 Monique Pua Mata (Team Cannondale Sho-Air) won the US Marathon National Championship title for the third consecutive year last weekend in Sun Valley, Idaho. Pue trains and races with the SRM MTB 2x10 PowerMeter and PowerControl 7. Her SRM file below is a testament to the strength and endurance demanded at the top of her field. 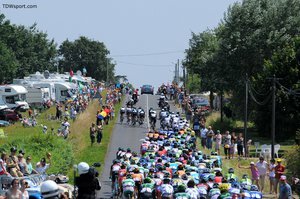 Stage 13 in the Tour de France departed from the metropolitan city of Tours and followed a 173km route to finish in Saint-Amond-Montrond, the very center of France. The stage was flat with fierce cross winds blowing the peloton apart by the end. Cavendish took the final sprint just in front of Peter Sagan. The two sprinters were riding with a front group of 14 dominated by Team Saxo Bank Tinkoff. 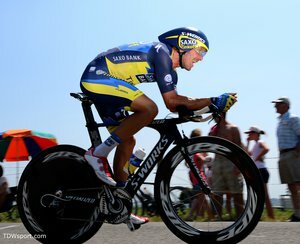 The SRM race file below is from Nicolas Roche of Saxo-Tinkoff. Nico is a two time National Champion from Ireland and represented his home country in the 2008 Summer Olympics in the Men's Road Race. Stage 12 of the Tour de France began in the city of Fougeres and followed a long flat 218km route into Tours. The majority of the course featured flat wide roads, but two sharp turns greeted the peloton as they approached the final kilometers which caused a serious crash creating chaos before the final sprint. Marcel Kittel of Argos Shimano took the stage victory followed by Mark Cavendish and Peter Sagan. Today's SRM race file is from Astana's young Alexey Lutsenko who was a dynamic rider in the peloton in Stage 12. 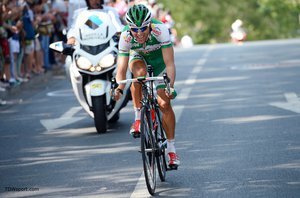 Alexey is the 2012 UCI U-23 Road Race World Champion. Stage 11, the Individual Time Trial, at the Tour de France was relatively flat with a few rolling hills early on followed by several sharp turns and long flat sections leading to the finish. The 33 kilometer course, suited for TT specialists, began in Avranches and finished in front of Mont-Saint-Michel, a tidal island dominated by a monastery and abbey. 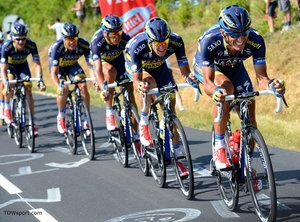 Team Saxo Bank-Tinkoff invited the SRM team to ride along behind Italian cycling veteran, Matteo Tosatto. Below Matteo has shared his SRM files from the warm-up and race. Unfortunately, there was an error in Matteo's speed sensor causing speed data to not be included, but power, cadence, and heart rate from the day's effort is illustrated below.